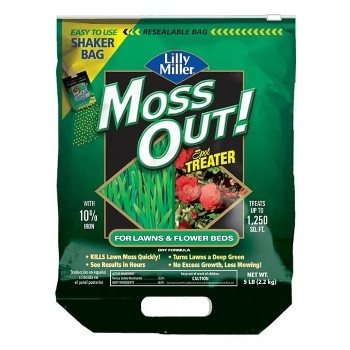 MOSS OUT!® Spot Treater For Lawns & Flower Beds, 5 lbs. Made with 10% iron. This product kills lawn moss quickly and also turns your lawn a deep green!